Sato was born in Yamagata prefecture and graduated from the Military Academy in 1913 and the Army Staff College in 1921. As a regimental commander, he was involved in the border clash at Changkufeng in the summer of 1938 and at the battle of Nomonhan in 1939. 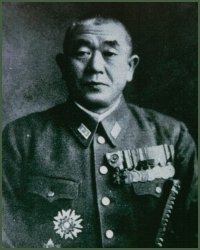 Sato commanded 31 Division in China from its activation in March 1943. The division later fought at Kohima as part of Operation U-Go in March 1944. Slim criticized Sato for lacking the moral courage to ignore his orders, bypass Kohima, and advance on Dimapur; in fact, Sato was resolved to carry out his orders and no more, accepting U-Go as an operation to establish a better defensive line but rejecting Mutaguchi's vision of an invasion of India. When the attack on Kohima collapsed, Sato was ordered by Mutaguchi to hold his position for ten days, in spite of the lack of any logistical support. Outraged at the lack of arrangements to bring in supplies to feed his men, he refused to obey both this order and a subsequent order to join the attack against Imphal, going so far as to cut his communications wires. He was therefore relieved on 7 July 1944 and ordered to report to Southern Army. On reporting to 15 Army, Sato was offered a short sword wrapped in white cloth, the traditional instrument for seppuku. Contemptuously rejecting the suggestion that he kill himself, he declared that "15th Army's staff possess less tactical understanding that cadets," and demanded trial by court-martial in order to expose Mutaguchi's incompetence: "I will bring you down with me" (Lewin 1976). He was refused by Kawabe, the acting Southern Army commander. Sato was declared mentally disturbed instead, and was forced to retire on 23 November 1944. I'll take this opportunity, gentlemen, of making something quite clear to you. Miracles apart, every one of you is likely to lose his life in this operation. It isn't simply a question of the enemy's bullets. You must be prepared for death by starvation in these mountain fastnesses. The bad blood between the two went back as far as 1934, when Sato was aligned with the Control Faction (Tōseiha) and discovered that his movements were being reported to Mutaguchi, then part of the General Affairs Bureau, who was aligned with the Imperial Way Faction (Kōdōha).